A hand extends from a cloud and proudly presents a large Pentacle or Coin. The Pentacle appears large and solid suggesting something real and long-lasting. There is a garden which appears to be well-tended, mature and fertile symbolising growth and abundance. At the bottom of the garden an opening or archway is formed out of the natural hedging. This natural archway is very archetypal of the way the Pentacles type approach life. They use the natural resources available to them whenever they can. Time was spent growing the hedge in such a manner to form an opening when they could easily have paid someone to fit a gate. This also shows the commitment and patience they give to everything they get involved with. It also highlights their connection to the natural world and where they are most happy. From the archway a pathway leads off to the distant mountains. The Archway and path suggest a beneficial opening or opportunity for advancement. As in all The Aces, the sky is clear and bright. This card carries great weight in all material and financial matters. With this Pentacle in your hand, you have something distinctly tangible to work with. The Ace of Pentacles offers strong potential for a fruitful and stable period in life. The Ace of Pentacles generally symbolises financial reward or gain. 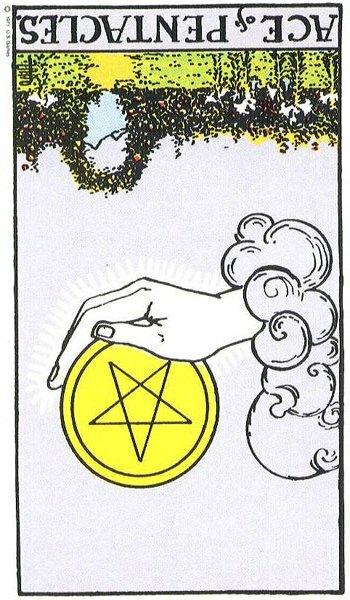 The hand holding the Pentacle says “look at this, look at what I have” or “I have the money to buy that” or “Look at the return I got for my investment/hard work”. It is a solid card for investments, saving and business. It also is a card that brings real potential for financial windfalls or inheritances. If you are thinking of setting up a business and the Ace of Pentacles appears, then it augers very well for you financially as long as you stay grounded and approach it in a practical and methodical manner. The Ace of Pentacles deals with real potential based on facts and tried and tested results. Be careful of where you invest this Pentacle for its energy often wanes if involved in ‘get rich quick schemes’ or taking risks such as gambling. For those who have been struggling with finances the appearance of The Ace of Pentacles in a future position would highlight the end of such worries. This can mean securing a job, gaining promotion or even just finally paying off a loan. It can also suggest that you now have enough money saved for that large purchase you wish to make. This will take financial pressure off you at last. Pentacles represent the season of Winter. ** Do you think this Pentacle has what it takes to grow and multiply? Wait until we visit Card 2 to find out if they have what it takes to succeed. well very happy to read this. I’ve been going through a protracted time in which my finances and prosperity are in a pathetic situation. Months upon months of false leads, dead ends, projects that materialize and then flit away in the wind etc etc etc. Very frustrating. Earlier I did a simple one card reading asking about the sate of my financial abundance and money situation in the next upcoming month, and this card was drawn upright. About freaking time! How did you get on? 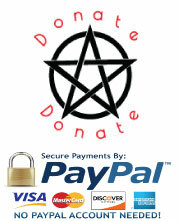 Did the Ace of Pentacles works its financial charm? Be aware too that The Ace represents potential and can suggest that even if it is not there right now, then it is certainly something that is incubating and should begin to manifest soon. However, you know the story with the Pentacles, everything requires a lot of hard work and effort before rewards will be granted. Do not give up hope and do not ease up on the hard work. An opportunity is winging its way to you but there is also the chance of a sudden rush of good old fashioned LUCK when this card appears. Success is often brought about by a combination of effort and luck. Sometimes it is a case of being in the right place at the right time. Keep your eyes open and your ear to the ground. nothing yet, but I did ask about the upcoming month, so hopefully what the card promises will manifest. Thanks! Any sign of that Ace of Pentacles manifesting yet? Just one thing, I do hope you are not sitting back and waiting for it to happen. You know yourself, that the Pentacles demand consistent effort of one. Sometimes they throw luck in front of you but usually you have to work for it so don’t give up. Let us know if anything has come to be. I have had this card in a few readings when asking about my job search, and when I can expect a job offer. I’m still waiting of course; however, this was all in the past two weeks and at this time of year (i.e. the Holidays) employers tend to hire right after New Years, and not right before Christmas. Here’s to hoping, praying and meditating though. Hope a job finally came through for you and if not, The Aces are all about potential so, opportunities are bound to appear on the horizon. Vivien: I was eventually offered a job. I had applied for it on 18 November 2014, but they didn’t get around to an interview until late February, 2015. That was the last I heard from them until April, when I was invited to a 2nd interview. I wasn’t officially offered the job until the first week of May, and I actually started the job on June 1st. I’m not sure if Tarot card readings indicate potential that far in advance. Astrologically this was expected though. That’s great news Mark. With Tarot it depends on how you formed the question. What time frame did you set for example. The Ace was potential and offered hope. Pentacles are tenacious and determined. If there is a glimmer of success on the horizon they will hang in there and not give up. Little happens fast in the world of Pentacles, so your patience paid off. The best of luck with you new job and well deserved too. 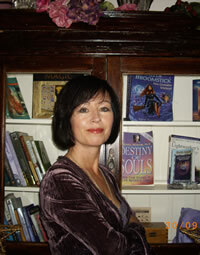 Vivien: Thanks…good to learn the significance of pentacles too. I had a lot of those in the 3 months leading up to my new job. But I want to ask what other cards or combinations of cards means these Lucky winnings. Monica, this is late in being responded to but I have been in college for the last year and am much fallen behind in correspondence. Yes, The Ace of Pentacles can suggest money; having it, finding it, being given it, working for it, investing it, inheriting it, having enough of it, saving it and making more of it. When the Ace Reverses, then it can suggest losing money, investing unwisely, not having enough of it and all the opposite of the remaining above. However, it does carry that lucky streak with it that can suggest doubling your money, windfall, lottery wins, wealth beyond belief. 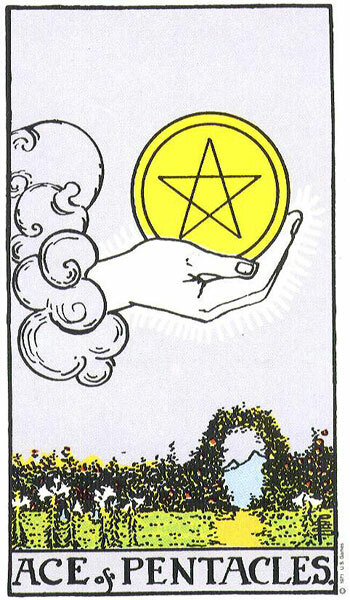 Do bear in mind that an upright or reversed Ace of Pentacles does have other meanings that are not connected to finances. For other cards or combinations of cards suggesting lucky winnings alongside The Ace of Pentacles watch out for The Wheel of Fortune (luck), The Three of Cups, Nine of Cups (celebration/champagne/dream coming true/wish card), The Six and Eight of Wands (winner/jackpot/excitement/high activity/wands striking their target in the 8), The Four Nine and Ten of Pentacles (luxury/wealth/usually earned though in the 9!/Celebration) The Page of Pentacles (good news about money). The Fool, The Sun, The World. Am sure I have left out others. So many of these cards in combination could suggest financial windfalls. However, I would expect the Pentacles to feature significantly. Also the reading would have to be very specific in relation to the chances of winning or acquiring money, as any of these cards in combination can carry many other meanings. Never rely on Tarot for financial dealings. If tarot could predict the Lotto, well you could imagine where we would all be! Best of luck and let us know if you strike gold at any time. Oops! You can delete my previous comment, I found the first card I pulled that also pertained to my query. I got both the Ace Disks and upright 9 Cups concerning the matter. They’re both really positive cards, I just got them mixed up there for a minute! Thank you for this website!! Your interpretations are spot on and I always come to this site when I do my readings! Thanks again! All’s well that ends well Leslie. Or so they say anyway. Yes, there would be a lot more written on the Nine of Cups in comparison to the Ace of Pentacles so I can see how you thought I might have changed the information. Great cards you got. I am not an astrologer, but I don’t think you have anything to worry about where your exams are concerned. That Ace of Pentacles shows you be to a very bright, industrious, hardworking, tenacious and ambitious individual. You know exactly what it is you want and have set long-term goals. Yes you desire money and all that it can buy, but you are not the one to sit around and wait for someone to give it to you. You want to be independent on many levels and financial security means a lot to you. Health does too and whereas you need to cut corners here and there to get by at times there are some things you are not prepared to compromise on. Oh with that Ace, I believe you are going for gold and will take nothing less. Success is very achievable for you once you keep focused. This is only one of several life goals you are working towards right now. Looking good girl!